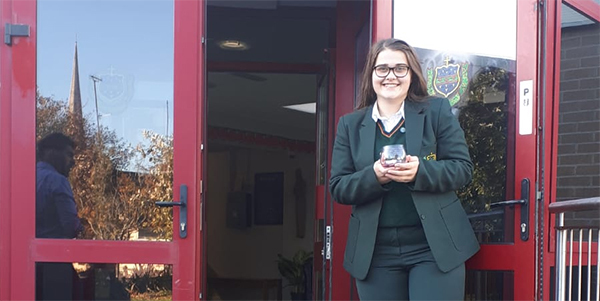 5th Year student Katie Cunningham was named runner up at the Inaugural Nano Nagle Public Speaking Competition at Presentation Secondary School, Waterford on Monday October 22. 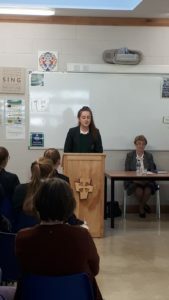 The competition, to mark the tercentenary of Presentation Foundress Nano Nagle’s birth, saw competitors from a host of Presentation schools take part with Katie, Rebecca Avtina and Rebecca Breen representing the school. 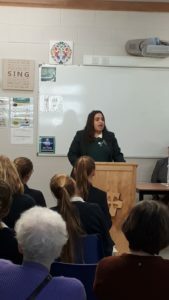 Presentation Sisters North East Leadership Team Member Mary Concepta O’Brien was pleased with how the event brought Presentation Schools together. 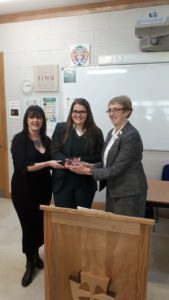 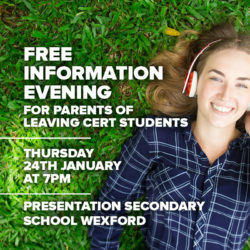 Congratulations to our three girls and Ms Murphy on their success.